Dunbar was the first black poet to receive national attention and praise. The musical In Dahomey, for which Dunbar provided the lyrics, was the first musical on Broadway written and performed entirely by blacks. 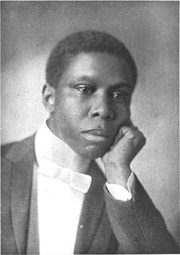 Paul Laurence Dunbar is currently considered a "single author." If one or more works are by a distinct, homonymous authors, go ahead and split the author. Paul Laurence Dunbar is composed of 6 names. You can examine and separate out names.